You may come across several companies claiming to be well versed in creating PHP applications; however, not all of them can develop the PHP applications that are highly robust, functional, scalable, and easily maintainable. You may be in a dire need of a PHP application, but being indiscriminate in choosing the PHP developing service providers may land you in a disastrous position. We have been in the field of PHP development for years, and our professionals at W3INFOTEK have gathered years of experience and achievements. Be it the PHP website development, custom PHP application development, customized PHP open source CMS solutions, or the PHP application maintenance and testing; our expert professionals can provide you high end services in all respects. If you require the services of PHP developers, or PHP coders; you can reach us anytime. Our committed experts in PHP development and PHP programming would render you the high end services at quite competitive prices. If you are still unable to decide, you may simply meet our professionals. They would provide you consultation free from any obligations. You may then finally hire their services if you find them convincing and worth hiring. For decades, we have been acclaimed as the top PHP developers and programmers, and surely you would not return dissatisfied. 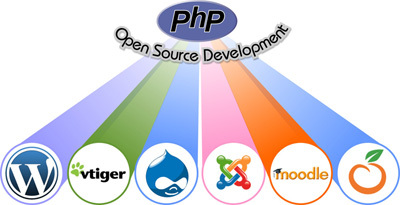 Our main focus as PHP developers and PHP programmers is to create highly dynamic, outstanding, and custom applications. Our PHP applications have been highly productive for the businesses of your clients, and we would catalyze the growth of your businesses in an overall manner. If you ever feel any kind of hesitation or confusion, you may go through our past performances. The reviews and the comments of our valuable clients can give you a better insight to fathom the expertise of our PHP professionals and the authenticity of our services.